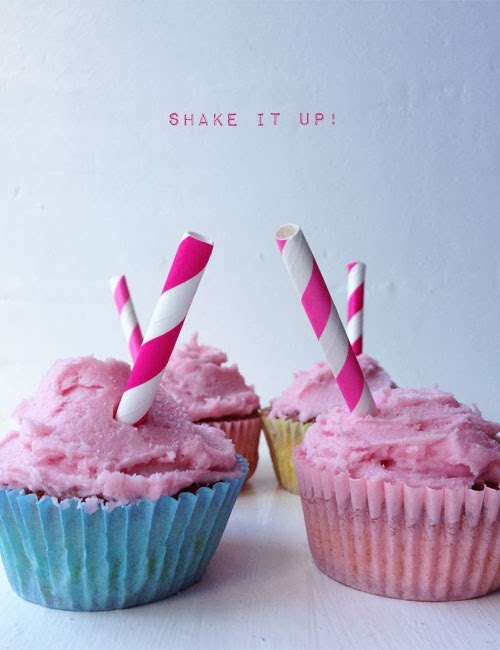 Brit Decor : Home Page: Brit Decor: Bakes / Strawberry Milkshake Cupcakes! 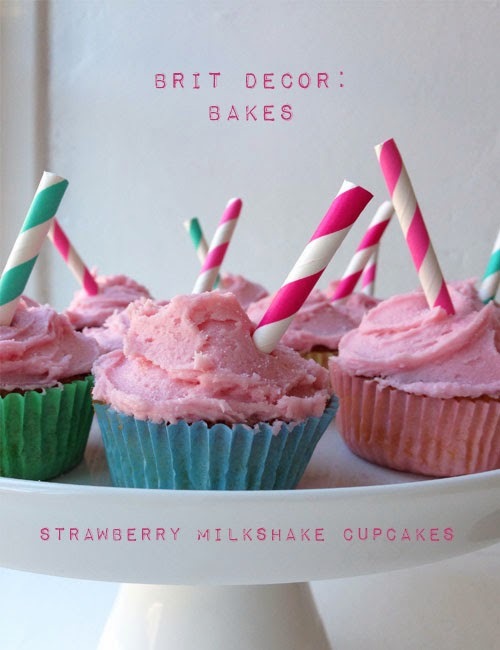 Brit Decor: Bakes / Strawberry Milkshake Cupcakes! 'My milkshake brings all the boys to the yard...' as the lyrics go! 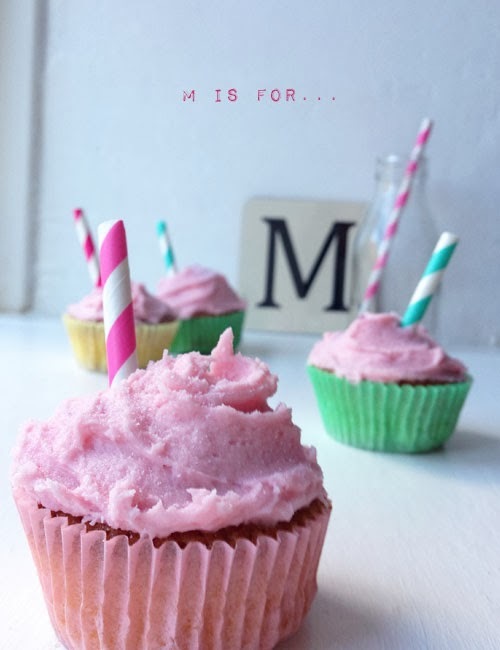 You can be sure that these strawberry milkshake cupcakes will bring everyone over to yours as they are just so cute to look at and taste just as good as they look. 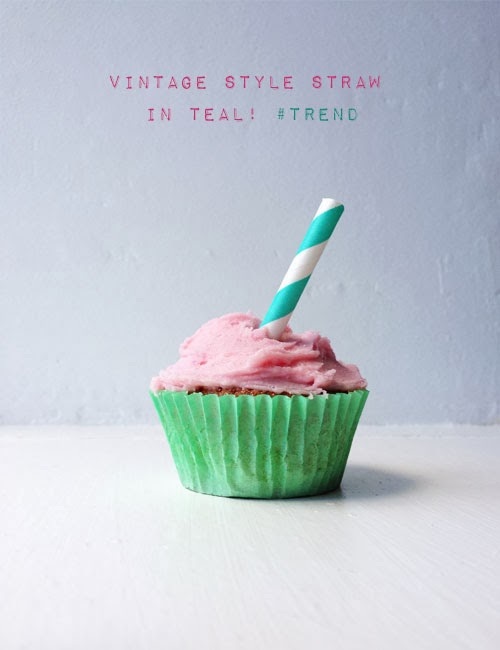 I find baking so therapeutic and I had great fun using some recently purchased vintage-style stripy drinking straws for the photo shoot, my favourite being one being the on-trend teal stripe, naturally. Preheat the oven to 1700c (Gas Mark 3) and line the muffin tins with cases. To make the sponge, use an electric mixer to mix together the butter, sugar, flour, baking powder and salt. Separately, mix the eggs, milk and strawberry milkshake powder before slowly adding this to the electric mixer until smooth. Spoon the mixture into the paper cases and bake for 20-25 minutes and then leave to cool on a wire rack. Now onto the frosting! Mix together the milk and the milkshake powder in a jug. Use an electric mixer to slowly combine the icing sugar and the softened butter. Then gradually pour the contents of the jug into the butter mixture and continue mixing until you have a light and fluffy frosting. Sweet! 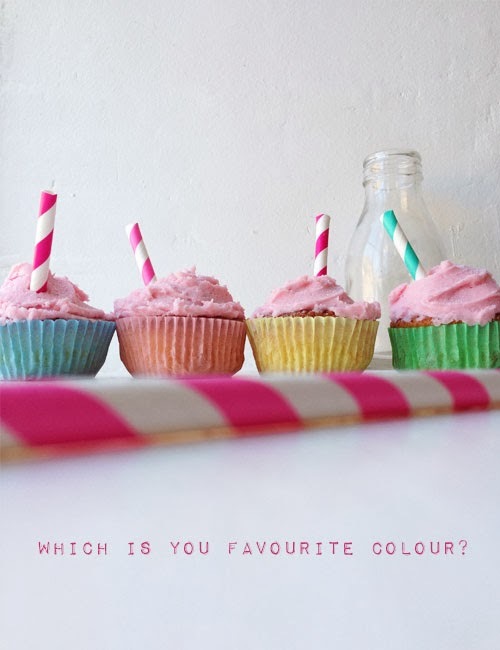 Use a palette knife to add the frosting to the cupcakes or if you prefer, pipe the frosting instead. Optional decorations can include a mini drinking straw and/or a sprinkle of the milkshake powder. Oh the joys of baking! The straws create a great effect, and the cupcakes look delicious!